Guys the Bangladesh Premier league for the year 2019 is now soon be conducted in the month of January. Earlier this tournament was organized in the month of October 2018 but now due to General Election, this matches will be conducted from January to the month of February. This can be good news for all the cricket lovers. The league will begin from the 5 January to 8 February. We are here providing you the information related to the prediction of every match. 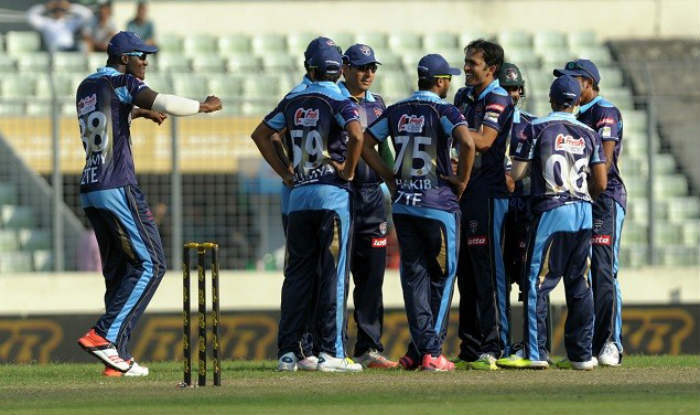 In this article, you can have the information about the various teams and this article is for Rangpur Riders. What is it's weakness and what are its strength so that it will be easy for you to predict the result and you have a slight idea about who is going to win the match? Mashrafe Mortaza, David Willey, Ravi Bopara, Adam Lyth, Thisara Perera, Kusal Perera, Samuel Badree, Rubel Hossain, Abdur Razzak, Zahir Khan, Lasith Malinga, Chris Gayle, Brendon McCullum, Shamsur Rahman, Nuwan Kulasekara. Mashrafe Mortaza: Mushrafe Murtaza is a medium fast bowler of the who is responsible for the bowling strength of the team as he is the experienced player he needs to perform well in the match. David Willey: An English player recruited in the team who have some experience but not enough known for a left-handed batsman and left-arm fast bowler. Ravi Bopara: An English rooted all-rounder batsman of the team he is an old player with enough experience to play the matches. he is the right-handed batsman with the Right-arm medium bowling action. Samuel Badree: A Caribbean player who is responsible for play as the bowler of the team. He is the Right-arm leg-spinner of the team. He is a T20 player and is very experienced in it. Rubel Hossain: A Right-arm fast bowler of the team who is responsible to command the pace section bowler of the team. We can say that he is one of the most crucial players as he has much experience of playing in the team. Abdur Razzak: He is a Slow left-arm orthodox bowler with the left-handed batting style and he holds ODI matches experience in the team. Lasith Malinga: A very destructed player with the Right-arm fast, occasional right-arm off break bowler he has a great experience of every field of Cricket. He is known for his pace and action of the match. Chris Gayle: A devastating Left-handed Caribbean batsman with the Right-arm off break bowling style. He is one of the most fearest batsman who holds the record of hitting fastest centuries and many much other records. With the Tom Moody as a coach of the team, Rangapur Riders are the one time champion of the league they won the title in the year 2017. The home ground of this team is Sher-E- Bangla Stadium as his most of the matches as a home ground. The team color is "Blue and Black".